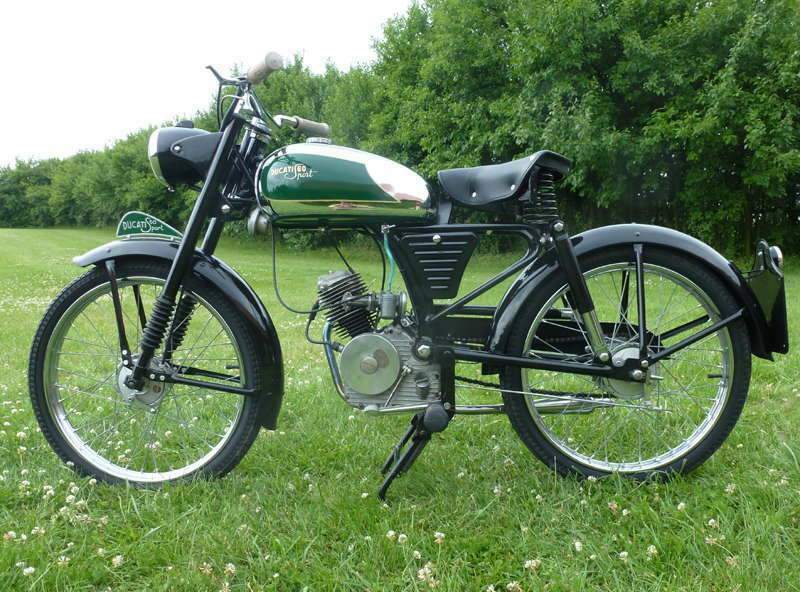 The 60 Sport (actually 65 cc) of 1950-52 used Ducati's own frame, making it their first complete motorcycle. For 1953 the name was changed to 65 Sport. They were followed by the 65T, 65TL, 65TS series. Looking the part of those earlier design motorcycles, the 60 Sport was by no means a push-over model. While it was built in the mold of the Cucciolo, the 60 Sport carried its own 65 cc four-stroke OHV engine that was capable of hitting a top speed of 40 mph with a fuel tank capacity of 200 mpg.